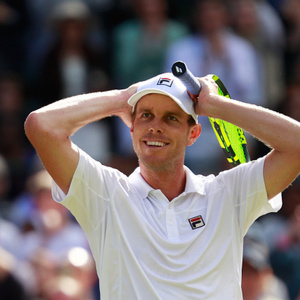 How much is Sam Querrey Worth? Sam Querrey net worth: Sam Querrey is an American professional tennis player who has a net worth of $12 million. Sam Querrey was born in Las Vegas, Nevada in October 1987. He turned professional in 2006 and has earned more than $7 million in prize money. Querrey has won eight career titles and his highest ranking of #17 came in January 2011. He reached the quarterfinals of Wimbledon in 2016. He has also won five doubles titles and reached the semifinals of the US Open in 2015. At the same tournament Querrey reached the finals of the Grand Slam Mixed Doubles tournament. He has represented the United States in international competition and reached the semifinals of the Davis Cup in 2008 and 2012.